There’s nothing quite like crisp corn on the cob, especially from a farm stand in the summer…the absolute best! Although I don’t believe in eating a lot of corn, I still can’t resist a cob or two when it’s in season. It’s so easy to make and full of so much flavor and memories! My Roasted Garlic Herb Corn is a simple recipe that can even be left up to your own imagination with the type of seasoning and herbs you choose. This is one of my favorites. Either on the grill or in the oven you can’t go wrong! 1) Place each corn on a piece of foil. Add one tbsp. 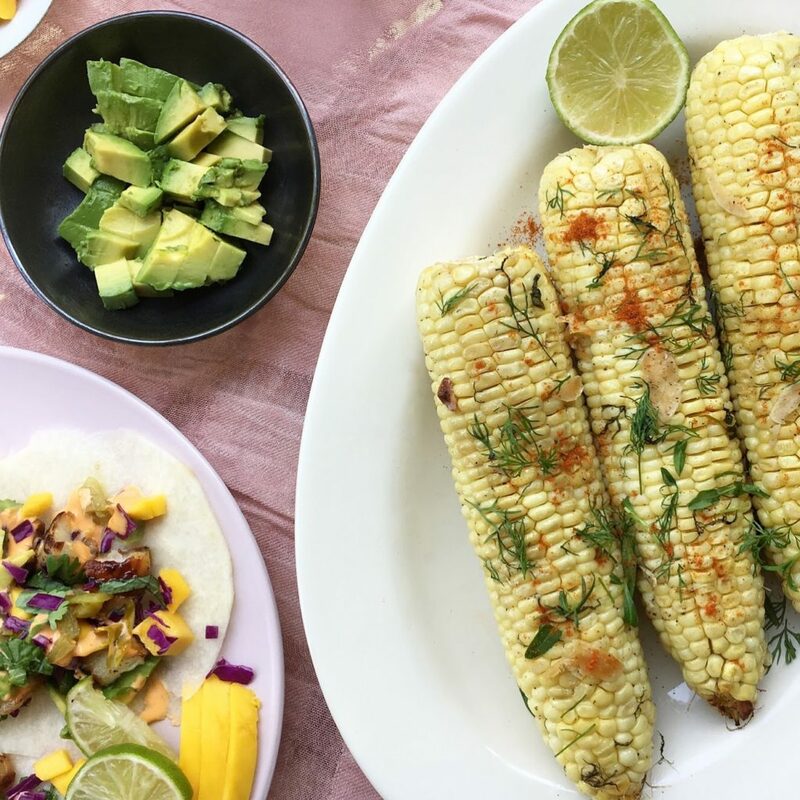 of Earth Balance butter to each corn and a sprinkling of the fresh herbs, sliced garlic, and salt and pepper to taste. 2) Roll them up in the foil and place on the grill or in the oven. If baking in the oven heat to 450 degrees and bake about 25 minutes. If on the grill just throw them on and let grill about 15 min.